Creating an alchemical or spagyric product is among one of the highest and most rewarding activities that a student of esotericism can accomplish. In the creation of a “Stone” even in the Vegetable Kingdom, the symbolic balancing of the “Elements” is the basis for the functional reality. With the harmonizing of Sulphur, Salt, and Mercury of the parent plant, the herb is perfected in its potential use as a medium of etheric and astral energy. In the creation of a “Stone” even in the Vegetable Kingdom, the symbolic balancing of the “Elements” is the basis for its functional reality. With the harmonizing of the plant’s Sulphur, Salt, and Mercury, the herb is perfected in its potential use as a medium of etheric and astral energy. There are many ways of making a Vegetable Stone. Some of them run from the simple to the complex, each with its own advantages and drawbacks. For brevity, and the increased possibility of success, several concise methods will be outlined. The effects of the Stone, as suggested previously, are initiatic. While physical health may be effected, their primary purpose, at this stage, is to open up a wider range of consciousness to the student. They also represent, in their own fashion, a certain degree of mastery of the ‘Vegetable’ (or animal-Nephesh soul) nature of the individual who created them. They can be a profound and powerful gateway to the astral-Yetziric realm, and take us to the doors of Briactic (Solar-Archetypal) initiation. The creation of all seven planetary stones, and their perfection, represents a physical demonstration of the student's mastery of the Astral-Yetziric World. The process of making a vegetable Stone is similar to that of making a spagyric tincture as previously described. However, instead of having the option of disposing of the Salt, here it must be calcined, and kept for future use. If the Salt obtained from the plant matter is insufficient, in some instances, Sea Salt may be used. Leaching of the Salt may also yield up greater progress in the final stages of balancing the elements. Leaching is accomplished by placing the Salt in a moderate amount of distilled water, and allowing it to evaporate naturally, or with the assistance of a heat lamp or toaster oven. The Salt is then scraped off the container, ground, and re-calcined. Experience has shown that leaching can be done in 15-30 minutes if the Salt is finely spread, and the heat source is close by. A simple desk lamp, with as low as a 7 1/2 watt bulb, will be sufficient. The Sulphur and Mercury which have previously been together in the tincture, in some instances are separated into their respective aspects. Thus, in the creation of a Stone, we have three separate materials that we will recombine in the alchemical laboratory. If separation of the Sulphur-oil and Mercury-alcohol is not possible because of equipment limitations, then they may be used together, but this may effect the quality of the Stone produced. An ‘artificial plant Stone’ may also be made with Sea Salt, alcohol, and high grade essential oils of the desired plant. Above all, it is important to note that a Vegetable Stone takes time to produce, in some cases up to several months, and will change in color and texture after it is created. Patience, dedication, and confidence are the needed attributes at this stage. Preparation is the key to success in alchemical work. Preparation of the materials needed, the place of working, and above all, of the attitude of the worker. The attitude must be a mixture of humility and unswerving confidence in the ultimate success of the undertaking. An image, if possible, and a feeling to accompany it, of the final moment the product is realized, from beginning to end can only help in its final material realization. Remember the words of Khunrath, “Ora et Labora” - Prayer and Work; and the aphorism on the fourteenth plate of the Mutus Liber: Ora, lege, lege, lege, relege, labora et invenies - Pray, read, read, read, reread, work and (you will) discover (it). Note the order of the directions: Prayer comes first, then reading and re-reading, and finally the material operations. The Salt may be calcined ahead of time, or you may wait until the planetary hour on the day of the ruling planet of the herb. The process of calcining is more complicated than it appears, as the simple burning off of the alcohol will not produce enough heat to ashen the residue. The embers must be made to glow by gently blowing on them, until they are bright orange. Be very careful not to blow hot ashes into your eyes or hair if you chose to increase the heat in this way! Safety goggles should be warn if you are unsure of your ability to control the ash, and a small, fine wire mesh screen placed over the dish used for calcining will help hold the ashes down. This is important as the finer, lighter ash will easily be blown away, and this ash is important for the creation of a Vegetable Stone. You may also place small amounts of the ash in a crucible and allow the heat from your gas stove to envelope the crucible. Tongs will be needed as the crucible will grow very hot. Several kitchen hot pads and gloves will also be helpful to have on hand. Let the ashes cool, then grind them. Soak them in alcohol again, and repeat the process. By the fourth or fifth burning you might achieve the proper white, or grey-white color needed to proceed. If the Salt has been prepared ahead of time, that is before the planetary hour, place it in a heat resistant dish or crucible on a low heat source. The heat may be modulated, but under no circumstances let it burn or scorch the herb. Slowly, drop by drop begin to place the tincture into the heated Salt until it is completely absorbed. This is called imbibition, or imbibing the Stone with life (Mercury) and Soul (Sulphur). You are in essence, reincarnating the vegetable power of the plant. Continue this process for as long as you like, or stop after one full hour, either planetary or secular. Begin again either next week, or on another day, preferably Saturday, on the planetary hour of the plant. If this is inconvenient, then any hour when the Work can be done. Between the phases of imbibition, keep the Stone in a place away from prying eyes, and if possible sunlight. Whether it be in the womb or under the earth, many good things like to grow in the dark. When the Stone will accept no more liquid then place it where you can observe the changes that may take place over the next few months. If possible, store it near a heat source, such as an incubator, or even a gas range oven with a running pilot light if it is available. If the Stone suddenly jells, quickly pour it out of the crucible into a thimble, as it will harden and difficult to get out of the porcelain crucible. This is desirable, over the softer, easily consumable Stones that may appear. If the Stone is soft like liquorice, then it may be ingested in small slivers under the tongue, or with a glass of distilled water. If the Stone is hard, then place it in a glass of distilled water for several minutes so that it may transfer its power to the water, then drink the water. If the Stone is perfected, repeated immersion will not degrade or ‘attack’ the Stone. Otherwise, expect it to dissolve over time. It is imperative that you keep a careful record of the days, times, and phases of the moon, during which the Work is done. It is strongly urged that Work not be done during the ‘dark phase’ of the moon. New and full moon periods are most beneficial, as with most psychic activities or projects. “It is the light of the moon which is the stimulative factor in these etheric activities, and as the Earth and Moon share one etheric double, all etheric activities are at their most active when the Moon is at its full. Likewise, during the dark of the Moon, etheric energy is at its lowest, and unorganized forces have a tendency to rise up and give trouble. The Dragon of the Qliphoth raises his multiple heads. In consequence, practical occult work is best let alone during the dark by all but experienced workers. The life giving forces are relatively weak and the unbalanced forces relatively strong; the results, in inexperienced hands, is chaos. While Dion Fortune was a Qabalist and a ritual magician and not a laboratory alchemist, her words are still applicable. As we will later see, the relationship between kabbalah and alchemy is very close. If Salts from the plant used to make the tincture are not available, then an ‘artificial Stone’ may be made in its place using a similar process. In place of the calcined residue, sea salt is soaked in rain water and dried several times, being crushed with mortar and pestal between cycles. The aura and energy radiating from the hands of the alchemist are most crucial in the Work. That is why during the handling of the Salt and tincture, the attitude of the alchemist is so important; as well as why alchemists work alone undisturbed by inquisitive and disruptive thoughts of others. 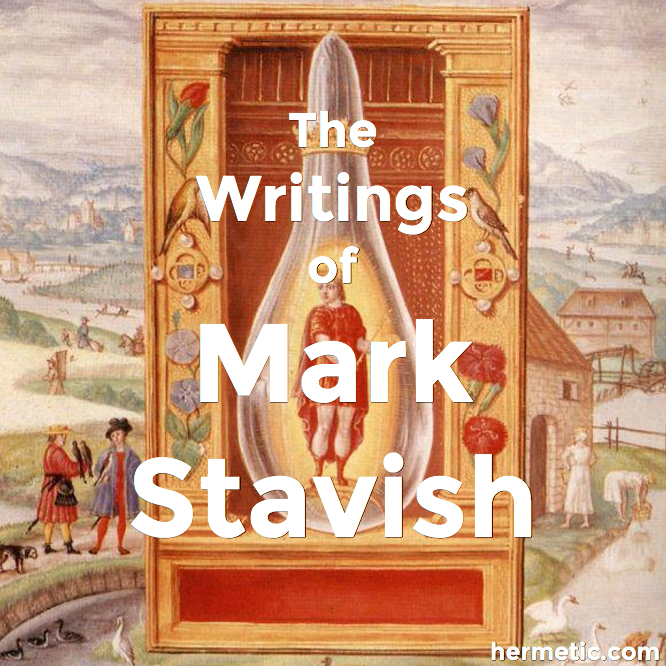 While it should not have to be said to someone interested in alchemical, kabbalistic, or hermetic work, we will state again to drive the point home: thoughts are real things on their way to becoming tangible in our material world. It is for this reason that we mentally wrap ourselves in a blanket or veil to psychically isolate ourselves from the disruptive psychic energy from others, and our products in aluminum foil when they are completed. Alcohol is very susceptible to psychic vibrations, as is cold water, and both act as storage mediums for those concentrated energies. Consider this the next time your are in a bar, or drinking an alcoholic beverage. In Alcoholics Anonymous, it is said that the recovering addict must avoid ‘stinking thinking’ as that is what drives them back to drinking and drugging. When you consider that many alcoholics sit and stew over what is bothering them, ice cold drink clutched between their hands, deep in an inner contemplation of failure, anger, and self-destruction, and then consume their ‘desecrated talisman’s’ one after the other, is it any surprise that alcohol and drug abuse is so destructive to the body and soul of individuals and society? If you chose not to soak the sea salt, then crush it, imagining that it, like the plant Salt, is opening itself up to the creative powers of the tincture, or Cosmic Energy and Consciousness. On the appropriate planetary day and hour, begin the imbibing process with a dropper, first with grain alcohol until saturated, and then essential oil. Repeat several times, and proceed as discussed in the previous method. Modern salt refining techniques are indebted to the ancient alchemists for much of their methods. The sea and its symbols have been rich inspiration for alchemist and mystics of all periods. It is not surprising then to learn, that the ocean itself, the very source from which our physical bodies have arisen, is also the source of much of our food stuffs, as well as potential medicines. The salty waters of Eaux-Meres, or “Mother Waters”, is the basis of our plasma, amniotic water, and all of our body fluids. For this reason, only sea salt, and only sea salt which is naturally refined and collected (i.e. organic) is suitable for this work. Salt mined from deep inland, or strip mined off the beaches is “alchemically polluted” and will not do for this work of rejuvenation. Salt produced in the slow, natural manner contains over 84 trace minerals, many of which are absent when the speedier more economically methods of mass production are employed. Before engaging in any of the experiments outlined here, read and re-read the material several times with a notebook nearby. Outline the steps in each technique, and place them on the front page of your notebook. When performing the experiments, pay attention to your notes, and write down each step as you take it. Compare your list with the master list in your notebooks, as well as the steps listed here. This may seem trivial, but it is designed to get you in the habit of noting down what you do, as you do it, so that later on if you decide to do more complex experiments, the required safety and notation habits will have already been formed. As stated earlier, plant work is relatively safe, if you mislabel something you can throw it out or test it under your tongue, metallic work is much less forgiving. Good habits formed early last a lifetime. Not to mention, they save a lot of work later! Alchemy is a lifelong process. The procedures outlined here are sufficient to keep an aspiring spagyrist busy for at least a year or more. Spagyric medicines when taken over time have an accumulative effect. While the individual dose may wear off after a week or so, each time it is ingested the organs of spiritual perception are flexed a little more. Like any study worth undertaking, patience, confidence, faith, and Grace are the tools needed. In the, it is ourselves we transmute, the plants are just our helpers along the Way of Return. Special thanks to Russ House, F.R.C., Vice-President of The Philosophers of Nature (PON) and former RCUI Alchemy Instructor, for his invaluable technical help in the review and preparation of this series. “That which is good was made better”. Thanks. The articles in this series are adapted from the forthcoming title, A Short Course in Plant Alchemy by Mark Stavish, M.A.